Among European nations, Denmark has had some of the greatest success with leveraging biosimilars to reduce cost burdens on its healthcare system, and during the fifth DIA Biosimilars Conference, held October 22 to 23, 2018, in London, United Kingdom, stakeholders heard directly from Dorthe Bartels, MSc, on how Denmark has achieved its strong biosimilar uptake. While it is indeed the case that the current administration has made drug pricing and biosimilars a priority, and while the Biosimilar Action Plan was hailed as a major step forward for biosimilars in the United States, “It’s not the only plan that’s going to exist,” said the FDA's Leah Christl, PhD. While provider education on biosimilars presents a hurdle for health systems worldwide, patient education is also an area of significant need. During the fifth DIA Biosimilars Conference, held October 22 to 23 in London, United Kingdom, several stakeholders addressed this challenge. 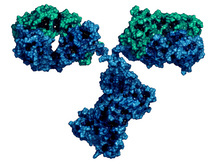 What Do Providers Need to Know About Biosimilars? With a number of new biosimilars making their way to market and eventually to the clinic, it is crucial that healthcare providers become educated about and comfortable with biosimilar products. During a session at the fifth DIA Biosimilars Conference, held October 22 to 23 in London, United Kingdom, experts addressed a number of key areas for provider education. Among the hottest topics in biosimilar development is the future of clinical trials, and that fact was evident during the opening session of the fifth DIA Biosimilars Conference, held October 22 to 23 in London, United Kingdom. During the presentation, a review of the biosimilar regulatory framework, 4 experts explained the ways in which the landscape for clinical trials is evolving for biosimilars.